Inhumans ends with a whimper as well as a bang. This episode was all about wrapping up the stories of our characters, so let’s go character by character. For a superpowered being with such a strong power set, Krystal is probably the biggest sacrifice Inhumans made in their rushed story. Saddled with a typical teen story arc, we never really got to see what made her tick. No flashback episode to show how she got Lockjaw or even how she felt about her parent’s death and her sister’s marriage to the son of the people that killed them. In the end, she remains loyal to Medusa and the Royal Family, but we have no inkling of her motivation. Gorgon returns from the dead mainly a mindless, wild beast. Karnak is able to calm him, but he now has to keep him under control. Furthermore, he has to live with the guilt that the one time he acted out of emotion and love, he hurt the person he cares about most. It’s a great story arc to explore in the future, but it plays on the Black Buck stereotypes with Gorgon’s character. Auran’s turn back to the Royal Family’s side was expected, but also heartwarming. It would be great to get more of her story. What led her to believe in Maximus? What are her grievances with the Royals? Her backstory is rich and watching her come fully back into the fold would be a great arc in the future. Much of comic book Medusa’s story is about being the true leader of Attilan, so her final moments speaking not as Black Bolt’s voice but as a leader in her own right were perfect. Also, Serinda Swan’s scenes with Iwan Rheon are spot-on. You can feel the history and heartache between their characters. The relationship between these brothers is Shakespearean with Maximus’ jealousy stemming from guilt, resentment and anger and he reveals that he forged the documents that caused Black Bolt to argue with (and kill) their parents. Obviously, he didn’t want their parents dead but he thought Black Bolt would hand over the kingdom to him, but his resentment was cemented when he didn’t. Black Bolt didn’t hand over the kingdom because the genetic council told him he was the best weapon to fight the Inhuman’s biggest enemy (Skrulls? Kree?). The final “fight” between the brothers is pretty anti-climatic, but Black Bolt leaves a ruined Maximus in Attilan while everyone goes to Earth and uses his final words to seal his brother in a bunker, and it is a beautiful sequence. Whenever he emerges from that bunker, Maximus the Mad will be ready for action. The episode closes with about 1,000 Inhuman refugees transported to Earth which is ironic given that Agents of S.H.I.E.L.D. ended with the crew being stranded in space. 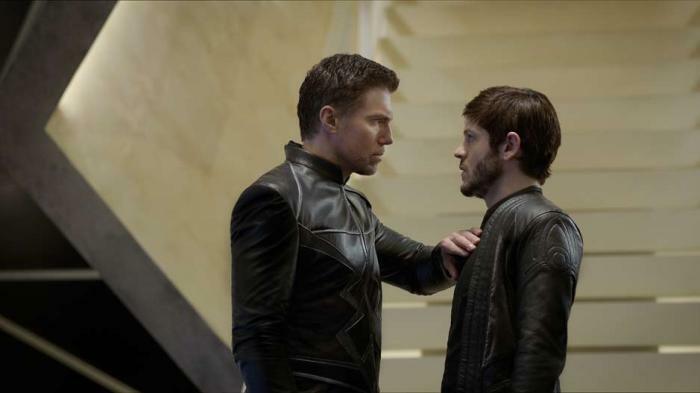 With some care and crafting these two stories could weave together and, with a new showrunner, I have no doubt Inhumans could go on to explore these relationships in a meaningful way. 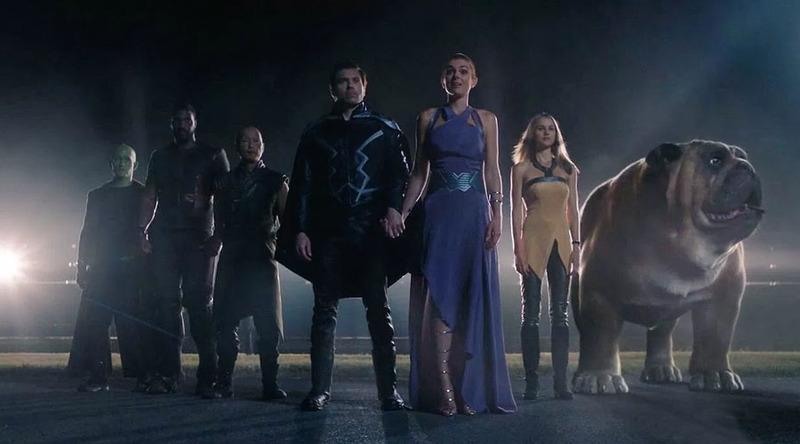 The final episode of Inhumans is an example of how a rushed story can hit all the right beats, but still feel unsatisfying and I think we all know, they can do better.